In December 2015, the Council of Australian Government (COAG) agreed to introduce a National Domestic Violence Order Scheme (NDVOS). The scheme commences nationally on 25 November 2017 - the International Day for the Elimination of Violence Against Women. 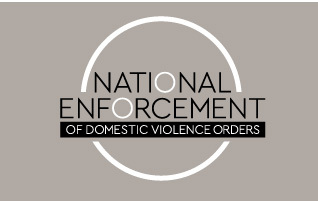 What is National Domestic Violence Order Scheme? The aim of this scheme is to increase protection for victims of domestic and family violence across Australian boarders by providing a domestic violence order (DVO) issued in one jurisdiction will be automatically recognised and enforceable in any other Australian State or Territory. These orders will be referred to as recognised interstate orders. NDVOS will improve the ability of police to enforce a DVO. The scheme will increase perpetrator accountability regardless of where the offence takes place and where the order was made. Circumstances may arise where a breach of a recognised interstate order occurs and the victim and perpetrator are in different jurisdictions. Police in the jurisdiction where the victim resides will commence an investigation and forward the investigation package to the police in the jurisdiction where the perpetrator is located. Police receiving the investigation package will investigate the alleged offence and apply that jurisdictions domestic and family violence legislation. In Queensland, if a recognised interstate order is contravened, police may issue proceedings under section 177 of the Domestic and Family Violence Protection Act 2012. What the National Domestic Violence Order Scheme does not cover? NDVOS does not introduce consistent domestic and family violence laws. Each State andTerritory have domestic and family violence laws unique to that jurisdiction. NDVOS will not lead to any standardisation of the conditions which appear on thedomestic violence orders of the different jurisdictions, including those which are mandatedas standard conditions on their orders. Model laws were developed and legislation has been developed and passed by each State and Territory. In Queensland, the relevant legislative amendments are contained in the Domestic and Family Violence Protection and other Legislation Amendment Act 2016. These amendments will replace existing Part 6 of the Domestic and Family Violence Protection Act 2012 (DFVPA) (which currently provides for the registration of interstate orders), and also amends a number of other provisions in the Act to support the new scheme. An application can be made in any Australian jurisdiction for variation of a nationally recognised order. This means that - subject to certain requirements, Queensland orders can be varied interstate, and interstate orders can be varied in Queensland. A new application form has been approved for an application to declare a DVO to be a recognised interstate order - DV35 Application to declare a DVO to be a recognised order (DOCX, 347.8 KB). Where there is an active DVO, that is not yet a recognised interstate order, an application may be made to any court in Australia for the DVO to be declared a recognised interstate order. This order can only be made by a Magistrate. Once an order is declared, a notice of declaration is produced (DV36 Declaration of a DVO to be a recognised interstate order) and the order can be recognised and enforced nationally or varied upon application to any court in any State or Territory. A new form has been created to vary a recognised interstate order DV4A Application to vary a recognised interstate order (DOCX, 155.1 KB). A recognised interstate order has the same effect as a local order. Upon application, the order may be varied as if it were a local order. However the court cannot vary an order if it is a kind of order that cannot be varied in the state in which the order was made. If the active order was made prior to 25 November 2017, the order can be declared to be a recognised interstate order and varied on the same form. After the 25 November 2017 a DVO issued in New Zealand can be registered in any state or territory of Australia and will automatically be a recognised interstate order. In Queensland a new application form has been developed for this application, DV14A Application to register New Zealand order in Queensland (DOCX, 362.5 KB). A national database will be used to share domestic violence order information. This database is currently available to all Police agencies and Court agencies across Australia that have been permitted access. Through collaborative workshops, agreed processes have been implemented to supply copies of documents as required when applications are made for an interstate order or a contravention of a recognised interstate order has been made. Where an application is made to a Queensland Court, this will be recorded in Queensland Wide Interlinked Courts (QWIC) along with the order of the court. For those agencies with external QWIC access, if your access allows you to view domestic and family violence matters, you will continue to view Queensland DFV applications in respect to recognised interstate orders. Any agency seeking copies of orders issued interstate will continue to follow current processes to obtain copies of those orders. If your agency currently receives court results from the electronic transfer of court results interface (ETCR), results will continue to be received for domestic and family violence court events and orders for recognised interstate orders.